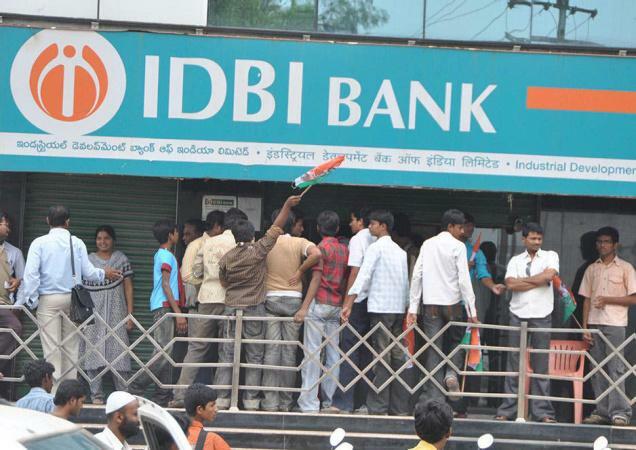 Can IDBI bank be privatized? Finance Minister Mr Arun Jately comment on making IDBI Bank similar to Axis Bank made the stock shoot up 17% in a day on 21st September 2015 with volume equivalent to 10% of the stocks free float. 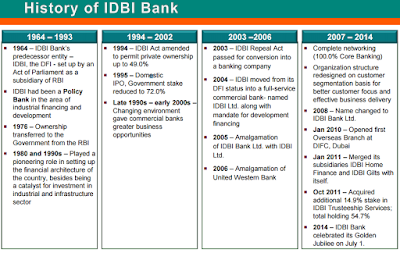 IDBI repeal act under which IDBI was converted to bank might not have the clause that Govt. 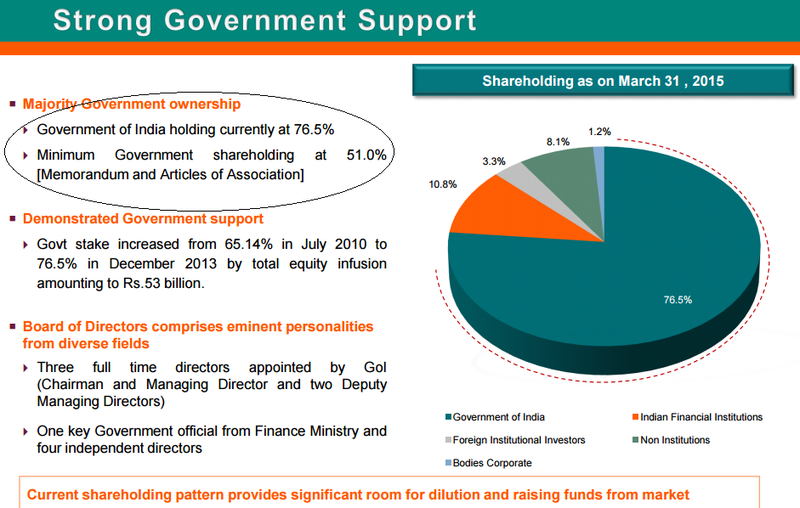 of India have to maintain 51% holding, but as per Memorandum of Articles of Associations minimum govt shareholding in the IDBI Bank has to be 51%. 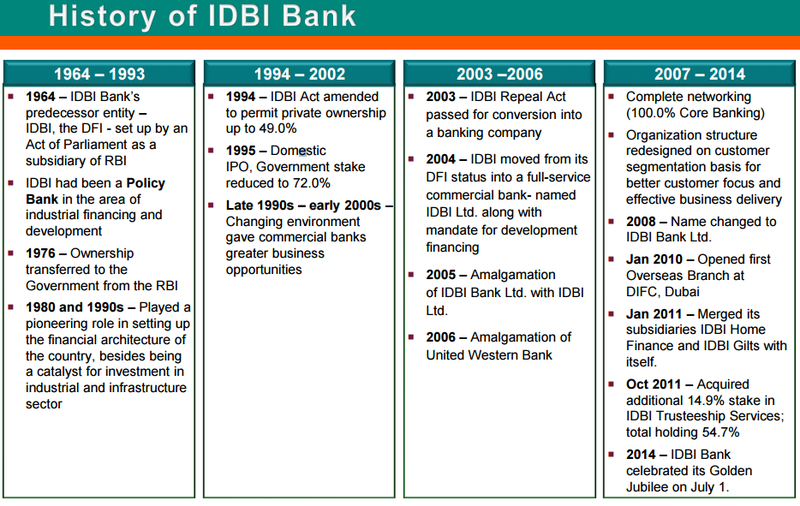 IDBI Act which is the original act under which IDBI was formed had the mandate of max 49% private ownership. As on June 2015, GOI held more than 75% in IDBI Bank which gives them room to dilute up to 51% but intention of diluting beyond 51% will meet huge opposition from bank associations and concerned entities. Even private appointments at some banks in August led to strikes and oppositions. IDBI Bank has been typically functioning as other public sector banks with huge amount of stressed assets and poor operating ratios, while Axis Bank is in a far superior condition as far as stressed assets and profits are concerned. Even if we assume that somehow GOI succeed in bringing down it’s shareholding in the bank to less than 51%, how will it solve the existing and ongoing problems of NPA which will continue to haunt the bank as majority of its loans are given to industrial & infra projects. As on 31st march 2015 the bank had a total restructured assets of over 20000 crores (up 30% over FY-14) which is almost 10% of its loan book making it among the top stressed banks in India. So why should it trade at significant premium to peers like Allahabad Bank, Corporation Banks, Bank of India, UCO Bank etc. In my view investors should not get trapped into such frenzy and enter the stock only for the long term as all the talks of privatization and making it at par with Axis Bank (in terms of operations) is not going to happen in next 3 years at least. Select Public Sector banks are good investment opportunity as some of them are trading at less than their operating profit and in some cases as low as one third of the book value. IDBI Bank is relatively expensive compared to peer public sector banks. 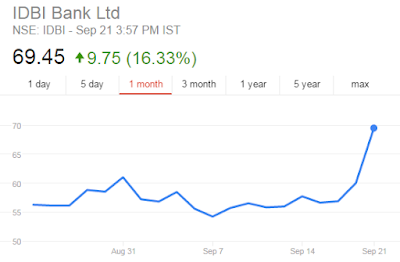 For example Bank of India which is more than twice the size of IDBI bank is trading at lesser market value than IDBI Bank. Similarly there are many PSBs having similar asset and operational profile trading at significant discount to IDBI Bank. Note: Please read the disclaimer at the bottom of this web page. See their investment against their NPA. You are wrong Gov don't directly won shares in IDBI. Look share holding Lic and other insurance companies hold shares similar to axix bank. Can Cairn India and Vedanta Merger happen?